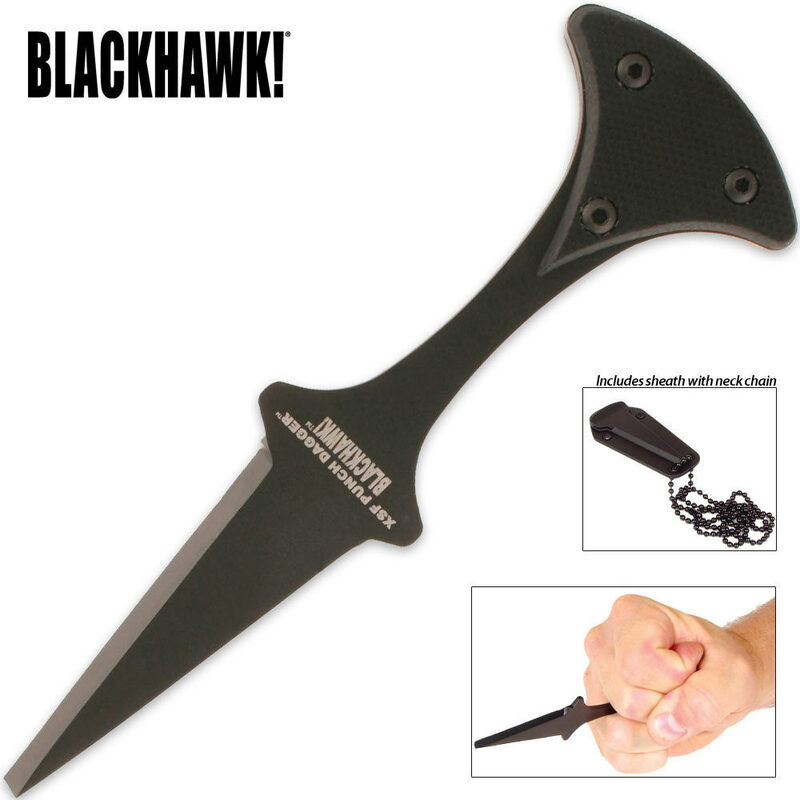 This XSF Punch Dagger by BLACKHAWK! features a distinctive handle shape which delivers remarkable strength and penetration, making it a potent personal defense blade. It is designed to be braced against the palm like a traditional push dagger and guided by the index finger for increased accuracy and thrusting power. The blade is crafted of black Teflon coated AUS8A stainless steel. The piece is completed by a textured G-10 handle, and includes an injection-molded nylon sheath with neck chain.